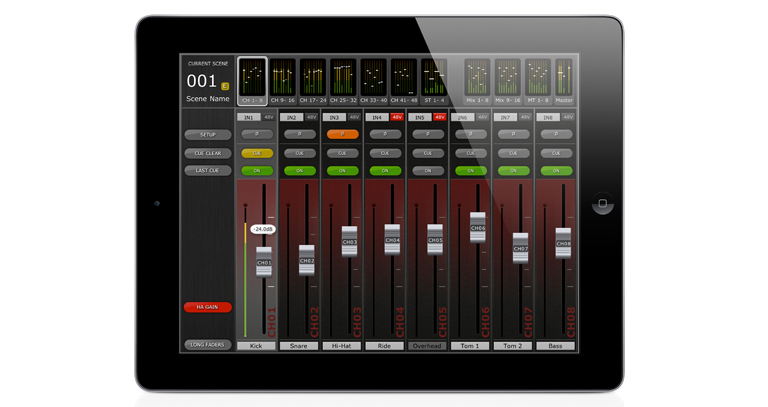 Pro Tools on your iPad, touch sensitive control over every plugin, fader, clip and edit point – how cool is that? Neyrick have written an app to make your Pro Tools mixes compatible with your iPad, which is detailed, carefully thought out and looks beautiful (especially with a retina display!). 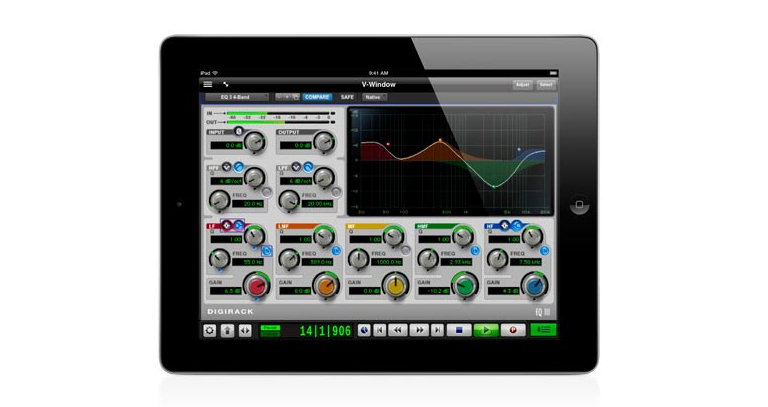 The app is a very nice to use, and makes the mixing experience much more tactile and involving. Being able to automate fader moves with your fingers rather than a mouse is intuitive and invaluable – as you worry less about the fader values and mouse clicks, and start listening to the mix much more critically. 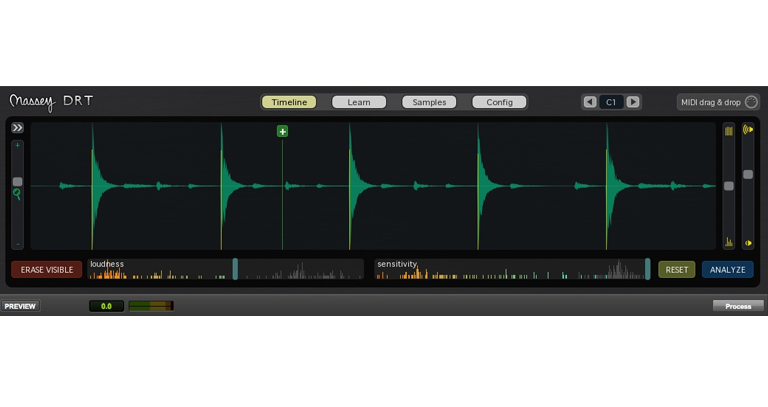 If you are a Pro Tools user – you should definitely consider trying the app. At £34.99, it isn’t cheap – but it has been thoughtfully developed and refined, and continues to improve with every free update. There is a free version of the app if you want to try it out before buying which you can find here: Free version of V-control. It doesn’t give you full control over Pro Tools, but it does display a live mixer so you can be sure that the full version will work and connects seamlessly. The app works over your wireless network through a program called Ney-Fi on your Pro Tools machine, which makes controlling Pro Tools quick and responsive. If you are at all concerned about connectivity or compatibility etc, we strongly recommend you try the free version from the link above. Here’s a video from Neyrick, which shows off some of the latest features and the capability of V-Control Pro. 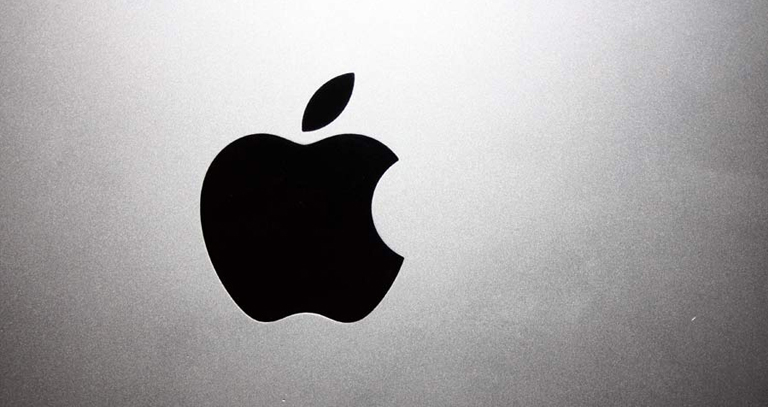 In use, we found the app to be responsive and feature rich. Obviously the main reason to buy it is for the tactile mixing control, but we were pleasantly surprised by the amount of editing that you could do directly from the iPad. One example of the care that has gone into this app is the ability to double-tap a fader to return it to 0 dB, which is a feature we have been longing for in Pro Tools for a long time. Having the transport in one place the whole time is also very useful, as it can often get in the way of your edit window on the computer – especially if you are working on a single screen. 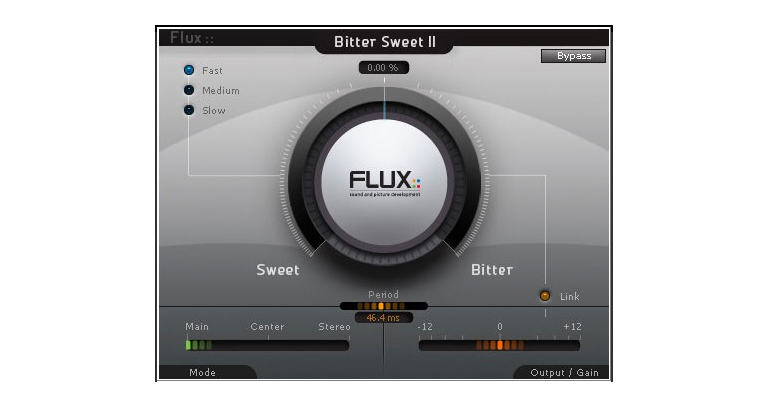 If you run more than one DAW, or ever want to change, you will love having this app – it is compatible with all the major applications such as Reason, Logic Pro, Reaper, Cubase, Sonar, Trackion etc. and the integration of all these other DAWs is just as seamless as it is for Pro Tools.